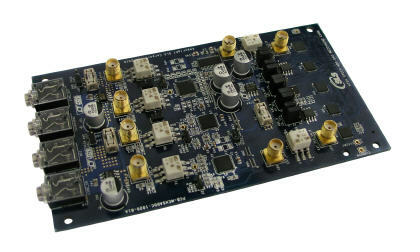 The Data Conversion HSMC (High Speed Mezzanine Card) is now available and can be used for developing DSP applications with Altera Development boards that feature the High Speed Mezzanine Card (HSMC) connector. The Data Conversion HSMC is created to provide a set of Analog to Digital and Digital to Analog interfaces including an Audio Codec interface. Copyright © 2019 System Level Solutions. All Rights Reserved.